Build a Frightening Maze or Haunted House for Halloween Fun and Thrills! Building your own haunted maze for Halloween doesn't mean you have to plow your backyard for a field of corn or hire a stone mason to build your maze walls. 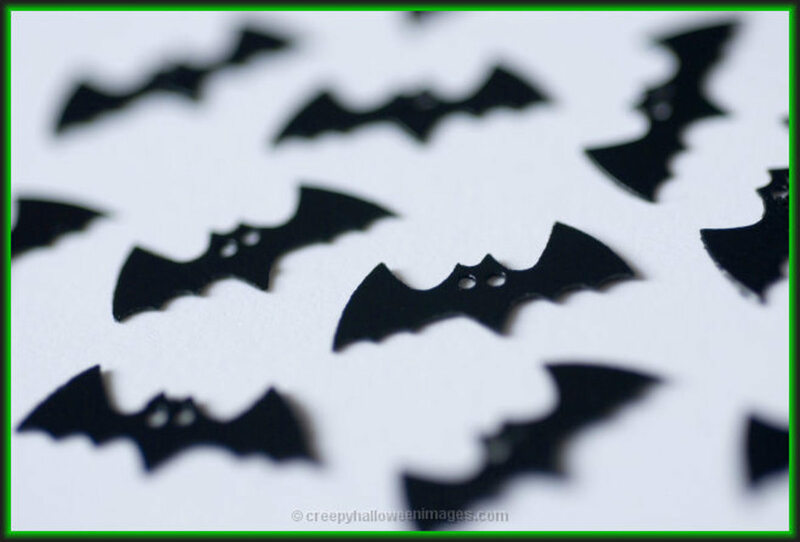 You can build a Halloween maze out of simple materials, such as cardboard boxes or sheets. It's not about what your maze is made out of: It's about how scary you make it! You've probably been in or at least seen a Halloween maze. Sometimes one of your local garden centers or farmers' markets will go ahead and plant an entire field of corn and cut a maze through it, or they'll make one out of straw bales or other readily available materials. 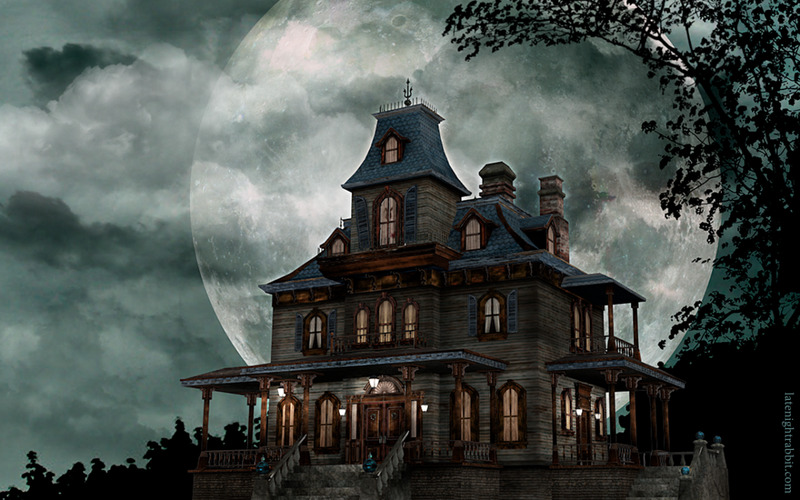 Or maybe you like to visit haunted houses during the Halloween season. Many of these are set up in a maze design: There's one entrance and one exit, and in between, you have lots of twists, turns, and dead-ends to throw you off course. While you're trying to find your way out, all sorts of scary things happen along the way. Strobe lights are flashing, ghosts and monsters jump out to scare you, and spooky music plays in the background, adding to the creepiness. It's important to remember to build a maze that's age appropriate, and you'll find some tips to help you with that further down the page. Secondly, the other thing you really need to think about is space. Don't worry, you can build a maze in a space as small as your living room, garage, or basement. Watch the video below to see just how much you can fit into a two-car garage. Or, if the weather's nice enough in your area, you can build a really scary haunted Halloween maze right in your backyard. So without further ado, let's talk about maze building! 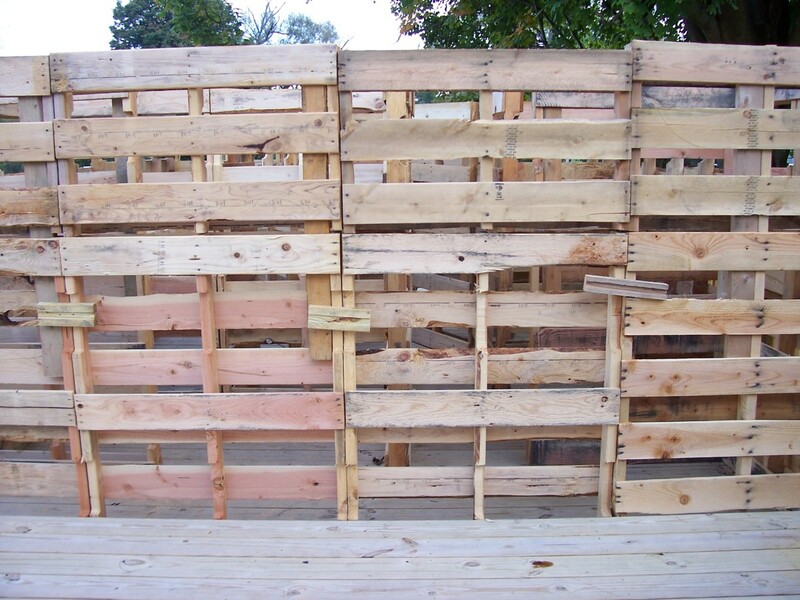 Our 2014 maze used wooden pallets for the walls. They were fastened together with 2.5'' nails. 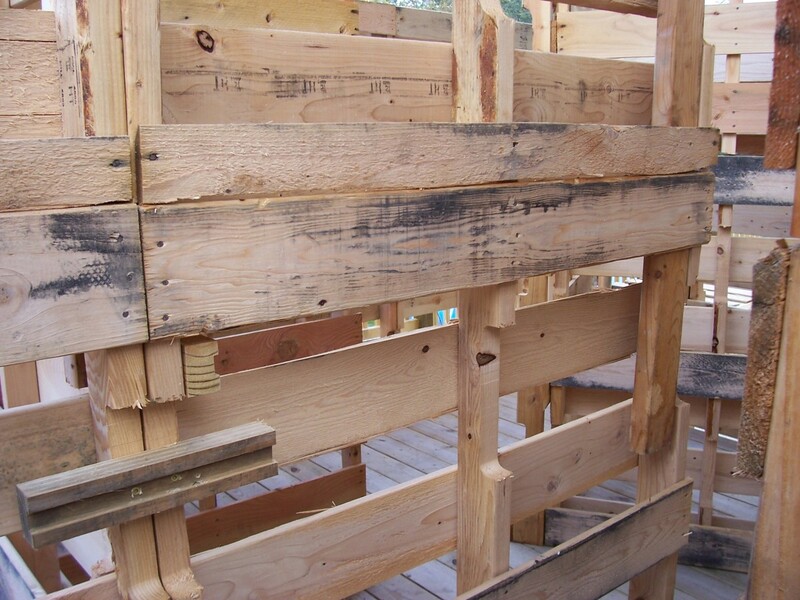 We both nailed the pallets directly together and nailed small wooden pieces to join them. These were then covered in cardboard and black plastic bags. In 2014, we actually turned a part of our home into a haunted house to support a local fundraising cause. Because the size of our house didn't allow us to create lots of twists and turns and rooms—we still had to live there, after all—we did as much as we could inside the lower floor of the home which took our guests on a path outside, onto our large back deck. 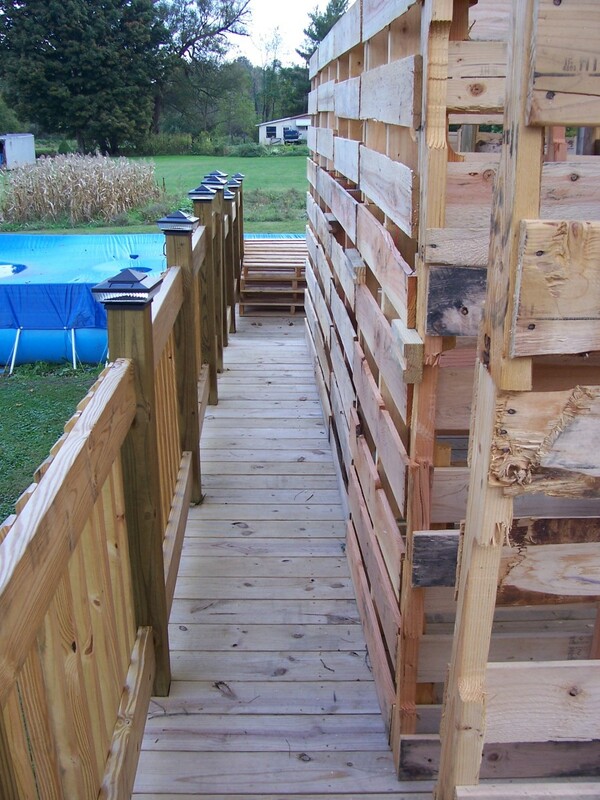 We turned a part of that into a total blackout maze that we built with donated wood skids/pallets. Next, we covered the pallets in heavy cardboard and then thick black trash bags. A view from inside pallet jail before we covered the walls in black plastic. For 2015, we went full commercial as Hagan's House of Horrors. We created a 16,000+ sq ft haunted house in leased space, which included two complete total blackout mazes that were constructed the same way. If it works, why change it? For 2016, we've built our own post frame building on our property that will contain our haunt and, of course, we'll also have a total blackout maze that will be constructed the same way. If you're building a maze for young children, large cardboard boxes make really great building blocks. Just cut holes large enough for the children to crawl through in the ends of each box and line the boxes up in a maze pattern on the floor of your basement or garage—open side down, against the floor. After you've designed your layout, paint and decorate the insides of the boxes. Poke small holes in some of the boxes and place a flashlight or strobe light outside of the box, so it makes a light pattern inside the maze. Use glow-in-the-dark stars and moons to make it creepier. Hang rubber spiders and webbing from the "ceilings" of the boxes to tickle the kids as they crawl through. To create walls using old sheets, you will use ropes to create "clotheslines" where you want your walls to be. If you're working outside, anchor the rope to trees, porch railings, or any other fixed object at the correct height. You can plant tent poles or dowels firmly into the ground and use those as anchors. Then, simply hang sheets over the lines to make the walls of your maze. For our commercial haunt in 2015, we cleaned Walmart in our area out of queen and king sized black sheets. They made great backdrops for a wide variety of sets! If you don't have that many extra sheets lying around, get sheets of black painter's plastic, drop cloths, old tarps, or even old curtains and shower curtains. Again, it's going to be dark, and people aren't really going to be looking at what your maze is made of, as long as it's scary! Note: You should always plan easy-to-find exits for children! Here is our maze bypass for those who couldn't handle total darkness and creepy crawlies. Measure the length of each wall along the perimeter of the space you'll be using for your Halloween maze. Then sketch a scaled version of the space on your graph paper. Use one square on your paper to represent every foot. Plot your maze on the graph paper. Be sure to include at least one long passageway where you can work in plenty of scary details like fog or a pulsing light show. Also, include some false walls for your monsters to hide in, so they can jump out and scare your guests. Note: For children, keep your maze simple and be sure to include at least two exits that they can easily find. The walls of our 2015 maze. 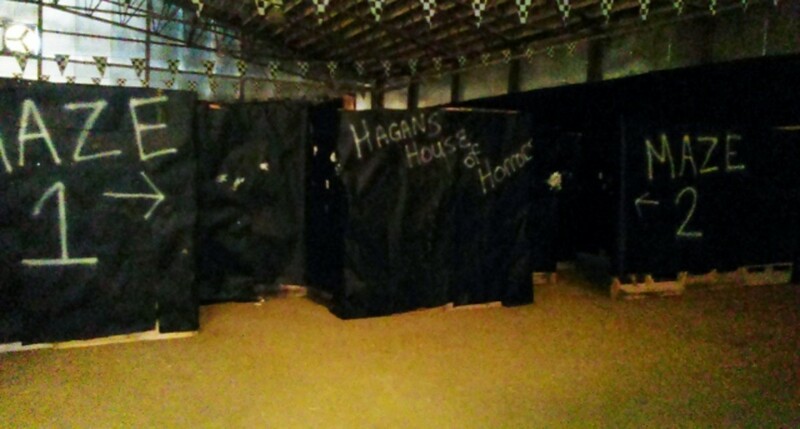 We had dual blackout mazes inside our much larger commercial haunted house, also laid out as a maze. Following your sketched layout, rope off your maze or lay out your boxes. Note: If you're building your maze with tent poles or dowels, you'll only need to place them wherever a wall begins or ends, unless you're making some really long maze segments. If you're using boxes, don't tack them down until you've decorated the insides. Once you have your tent poles or dowels in place, run a rope from pole to pole, up near the top. This will create a sort of clothesline. Drape your sheets, tarps, or painter's plastic over the "clotheslines" to create the walls of your maze. Once you have your walls up, it's time to start adding your scary effects. Strobe lights are the eeriest lighting for your maze, and you'll want to have plenty of spider webs, creepy bugs, and snakes. If you have the room, get one of your friends to dress up as a serial killer and jump out at people as they work their way through your maze. Stumbling around in the dark, fog laced with occasional bursts of light, cobwebs brushing your face, and a monster lurking at every turn makes for a really frightening experience. Every horror movie has at least one foggy scene, and your maze will only be scarier if there's an eerie mist rolling in! Remember this simple "Maze Math" equation: Strobe lights + fog = disorientation. Dry ice will work in a pinch, of course, it's just plain messy and you need to be careful because it can seriously burn your skin. Never touch it with your bare hands—always wear leather gloves or an oven mitt. Below is the best-selling fog machine on Amazon. We used it for our haunted maze in 2014, and it was fine for inside the house. We purchased three and ran them for about a minute every quarter hour, and it kept pretty good coverage inside, though it dissipated a lot faster outside. When you buy a fog machine, keep in mind: A pint of the fog solution won't go far if you're running the machine for more than a few hours. You won't need a gallon if you're only using the machine for an evening, but buy an extra pint or two so that you're covered (the stuff on Amazone is about $8 a pint and $20-30 a gallon, depending on the brand). The second part of the "Maze Math" equation is strobe lights. "It was a dark and stormy night!" That's how the scariest horror stories start out. And then the lights start flashing! Make your Halloween maze scarier than a B-movie with strobe lighting flashing, illuminating all kinds of creepy, crawly creatures. Yes, it's ookier and spookier if your Halloween haunted maze is dark and foggy, but make sure you have enough lighting for people to be able to safely navigate from the entrance to the exit. Remember, if you're building a maze that's primarily going to be used by children, you'll want to have plenty of lighting, while a maze built for adults can be just as dark and gloomy as you like. No matter what age group is going to be touring your haunted maze, always plan for safety. Don't have your monsters wielding real weapons: no knives, no hatchets, and definitely no chainsaws. You really have no way of knowing how anyone is going to react when they're in your haunted maze, so it's critical that you keep sharp and dangerous instruments out of the maze. If you want, you can buy props of each of these weapons, including chainsaws that make convincing noises made especially for Halloween scares. And make sure the floor of your maze is free of clutter, so people can easily walk or crawl. If you don't have room to hide a whole, living "monster," use prosthetic hands, feet, and organs to make your haunted maze more frightening. Stand a cardboard coffin in one of the corners. Even if it's closed, people will wonder if there's something inside; it's just one more creepy reason your guests will love your haunted maze. Sound effects are the icing on the cake. Get a couple of those scary Halloween CDs and have a combination of creepy music and sound effects going on in the background. 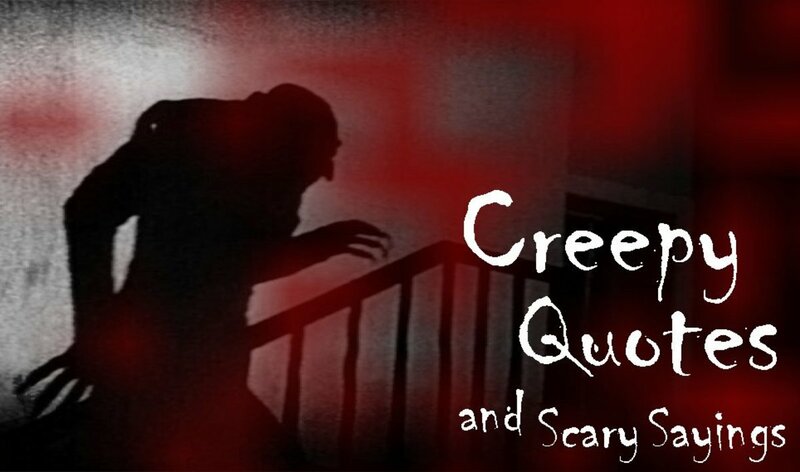 The noises will increase the tension inside the maze and make your guests even more terrified. 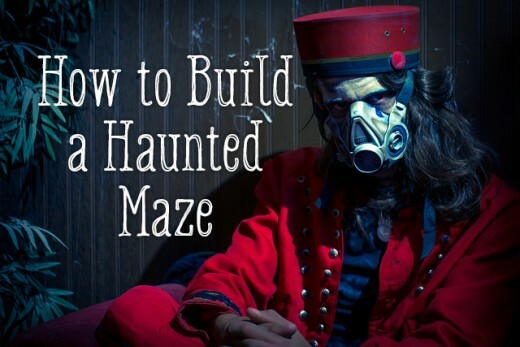 Are you building a haunted maze this year? No, not myself but I'd like to check one out! 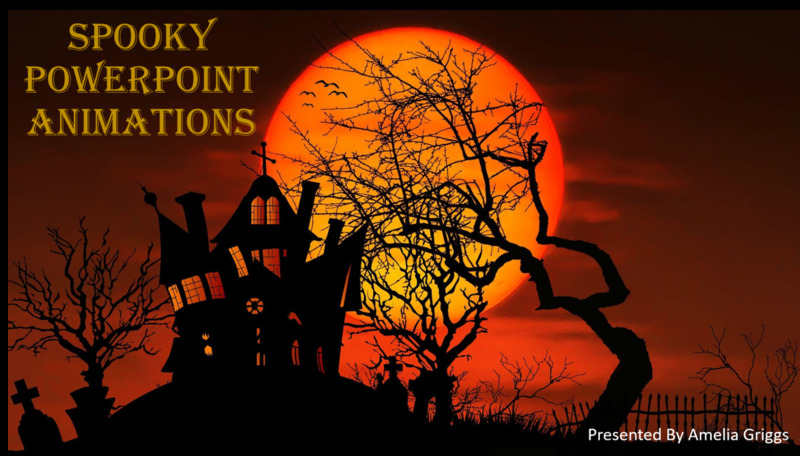 Is Your Haunted Maze Going to Have a Theme? I am going to build a Maze out of 2 by 8 ft resin pieces in a Walmart parking lot. We are having a fall festival and I thought it would be fun to create something unique. The ideas above are great. I would love any tips you can think of to help me in this. It will only be 2 feet tall and during the day, so the path is going to need to be interesting. I am going to build a haunted maze in my backyard with a circus theme and the backstory is that the clowns went crazy and took over everything my rooms are going to be made out of wood for the walls with black tarps on them and old sheets for the hallways. My question is what kind of wood should I use for the walls that won't break me financially and will be stable? I think next year I'll add a small maze to my backyard. I already have a fire pit that I can add to the affect. Just need to put a gate on the other side of my yard so there is an exit. Super excited to do this next year! We are planning an outdoor maze to incorporate some of the animations we got last year. We are going to have that lead into the entrance of an old cinder block pig barn in which we are going to have more animated items ( jumping rabid dog, lunging werewolf, scarecrow swing, lunging pumpkin girl, etc) along with human interactions which will be in association with the animations. And of course zombies and clowns once they leave the building. im going to add heaps of really scary jump scars!!! My idea is my entire house will be used, excluding bathrooms and the attic, I will even use the backyard, and each room will be a common phobia people have. For example, the basement/playroom will be the doll room, for people who have a fear of dolls. The backyard will be the entrance and there will also be a serial killer with a chainsaw chasing the guests into the house. Check back here for Halloween 2015. Our plan is to go full commercial with a building our town is acquiring! Awesome ! (and spooky!) LOVE IT ! Thanks dearly ! Me and my friends are building a Zombie Maze in my garden in Kelowna, Canada. Should be good and was just looking for some tips how to finish it all off, this is great. We are going to have a little bit of a story with ours too, mad scientist finds a way to bring people back from the dead, and then all hell breaks loose ... thanks for the tips! 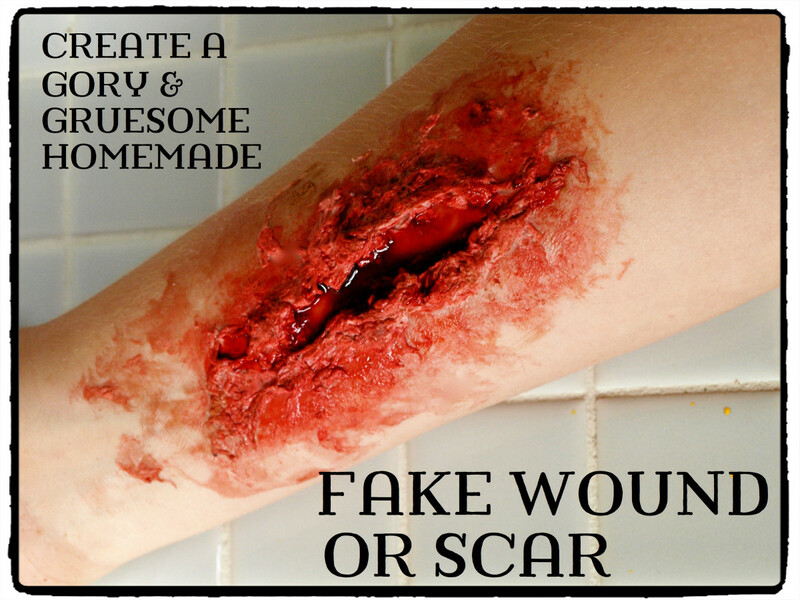 This is worth a try this Halloween. It's been years since I've been to a maze. Being empty nesters, we don't get to do things like this anymore - at least not until our grandkids get a little older. Something to look forward to. Would like to see someone else's first. I would love to do this...maybe I'll come up with a maze for our unfinished basement for the kids. Won't be scary or "haunted", more fun and cute because my kids are little, but they will love it! Thanks for the super ideas! I am doing a maze partially based off of the scary new game "Slender". We plan on doing it in a school where the maze is basically already set out with a few rooms the guests will have to enter. I'm excited for this and would love to hear some ideas from anyone with them. I love the sound of corn mazes when there is a breeze. What a beautiful sound it is... Blessings! A totally unique Lens! Thank you for the tips, because I've been thinking of creating my own maze! I'd would love to create something similar to the maze in the movie, "The Shining" (but, of course, not as huge). every year we have a holloween party for our kids this is an awesome idea, seeing as my kids asked to decorate the upstairs to, so the playroom/attic will be a great place to do this. thanx for the idea. this is really cool! Unique and Extraordinary! I live in an apartment. I would have to make a maze from the front door to the bathroom! ;) But, honestly? I absolutely love Halloween and loads of people in the houses around here decorate, but no one does mazes. I may just have to influence someone to do a sheet maze. This is such an awesome, totally cool idea!!! Never heard of a haunted maze before. Sounds like fun! This is such an awesome idea. Great video, too! I love the idea of making a maze for a children's party, Halloween or otherwise. I'd never thought of doing it before. @Mamaboo LM: You would be surprised how simple it really is! Thank you for the blessing! This is so totally cool. I have no ability to do this, but am always amazed at people who do...thanks and be blessed! Cool video :) great lens! What fun! Maybe zombies . . .